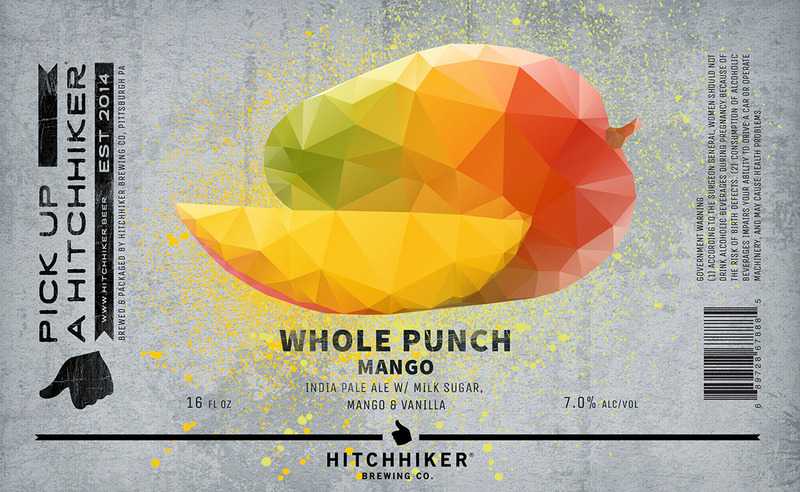 Whole Punch: Mango | Hitchhiker Brewing Co. Brewed with oats and milk sugar. Hopped with Amarillo, Motueka, and Citra. Conditioned on mangos and vanilla beans. Notes of fresh mango, dreamsicle, vanilla bean, and passion fruit.